Reigning Champion Mattias Ekstrom has won round one of the 2017 FIA World Rallycross Championship presented by Monster Energy in Barcelona after taking a lights-to-flag victory at the wheel of his Audi S1 EKS RX quattro. Germany’s Timo Scheider finished runner-up in his MJP Racing-run Ford Fiesta RXS Supercar after a stunning drive which saw the German also finish as top qualifier at the Intermediate Classification stage. Hoonigan Racing Division’s Andreas Bakkerud was third in the Ford Focus RS RX Supercar. In the FIA European Rallycross Championship presented by Monster Energy (Euro RX), where Barcelona marked the first of five rounds it was Sweden’s Anton Marklund who took the victory in the Marklund Motorsport run Volkswagen Polo. Hungary’s Tamas Pal Kiss and Ireland’s Ollie O’Donovan finished second and third respectively. As well as winning the event, Mattias Ekstrom also takes home the coveted Monster Energy Super Charge Award – a trophy awarded to the driver who has the quickest reaction time off the lights during the event’s final race. PSRX Volkswagen Sweden’s Petter Solberg and Johan Kristoffersson now lead the teams’ standings after both drivers reached the final and scooped the most points collectively. After winning semi-final one, Kristoffersson started on the front row of the final but his Volkswagen Polo stalled on the start line which meant the Swede was unable to catch the rest of the pack for the remainder of the race, eventually finishing sixth. Solberg was running third until Bakkerud overtook the two-time World RX Champion on the first corner of the fourth lap. Solberg ended the race in fourth place with Team Peugeot-Hansen’s Timmy Hansen fifth in the Peugeot 208 WRX Supercar. Elsewhere, nine-time WRC Champion Sebastien Loeb did not reach the semi-finals after a spin in Q3 due to a broken driveshaft. America’s Ken Block made today’s semi-final but was denied a spot in the final after finishing fourth in semi-final one after taking his Joker Lap on lap five and losing a position. 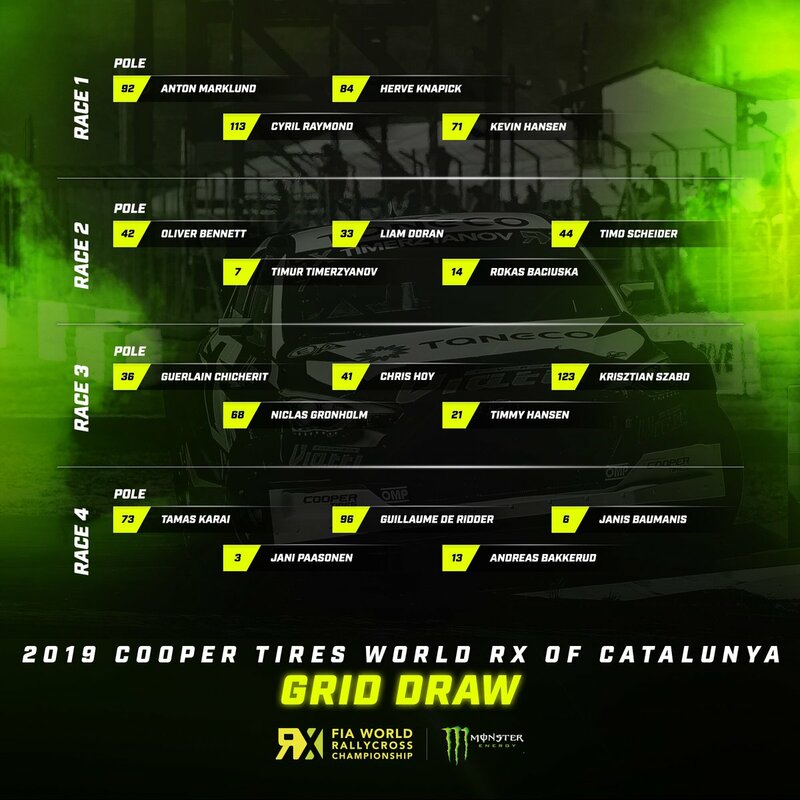 The FIA World Rallycross Championship presented by Monster Energy will resume in Portugal in three weeks’ time (22-23 April) as World RX travels to Montalegre for round two.